Home → Blog → New state, new home, next chapter, Yipee! New state, new home, next chapter, Yipee! It has been almost a year since the passing of my mom and I never imagined the impact it would have on my life decisions. The realization that my mother’s generation was slowly disappearing saddened me and catapulted me into the reality that that I was now part of the “elder” generation (Oy, scary thought!) and for the first time I really experienced vulnerability of body and mind. I am not alone in this feeling and am giving myself time to accept this new reality. Of course I will always stay the fun, immature, and often wise person I have always been! Over the years I heard my mother regret things she put off- a visit from a friend, a trip, a phone call, even a downsizing from a big house. No matter how big or small the event, waiting was costly. I decided to learn from her regrets and go for it now. Life can change any moment, so why do we put things off? I’d say fear is at the core. Stay safe or step out. Hmmm, I am choosing the latter and yes, still with a bit of fear. My children have been my best teachers. East coast of the US –easier to visit kids and NY family. Warm weather: Yes, we are turning into our parents! A house in a planned community (not over 55)- We enjoy all ages. Community that takes care of our grounds. Walking distance to workout facility. Not too far from Atlanta so it is easy to have visitors or visit Atlanta. Outdoor kitchen, pool, and jetted spa- My daughter said shed visit more if we had this! Great farmers market and fresh yummy food. Opportunities to work part time. We found it! 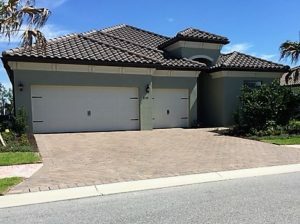 The Sarasota area.. We researched the area we wanted, purchased a new home and we are thrilled. We have no friends in Sarasota- Good I’m not shy. I can tell you that the risk is worth it and moving forward in life offers excitement, growth, and opportunity. It will push me to ground myself even deeper into who I am and explore what makes my heart sing. Some people told us to rent first, to wait- waiting is no longer an option. Wait for what? Nope, now is the time. After 38 years in Atlanta we have built community and I will certainly miss my friends and colleagues. I hope in the next few months before our permanent move late September, I can get together with some of you. I will continue to send newsletters, hopefully on a more consistent basis- stay tuned.